Well, hey, hey! Happy Wednesday! How’s everyone’s week going? Normally my weeks just seem to fly by, but this week is feeling slower than usual. I don’t know why, but my Monday just kind of felt like it dragged on and on. Was anyone else in that same boat? I was waiting for a package that I really needed for a shoot, and it just never came, UGH! All day long I just kept thinkin “oh I think I hear Fed-Ex”, but sadly, it was never Fed-Ex. My package finally showed up on Tuesday, and I did get my work done, but I think it just made Monday and Tuesday seem so long. Jam packed day today though, so I better get to this post already! Super fast baby goat update, since you all had lots of questions on yesterday’s post. All eight goats are doing great, the kids are growing at a rapid speed and it already has me wishing they’d just stop growing already. I peek my head out my door what seems every other hour or so to check on them all. Oh, and Asher has officially named the little kids, Hermione, Ginny, Harry, Ron and Serious. Also, on a completely random note, I really, really want to have horses too. Yes, horses!! I see them on the trail all the time and they are so cool and beautiful! I’ve decided I NEED a horse to be the next animal added to our little Gerard Family Farm… Do I sound like a spoiled brat or what??? OK, animal talk over. So sorry if you are completely over hearing about the goats! 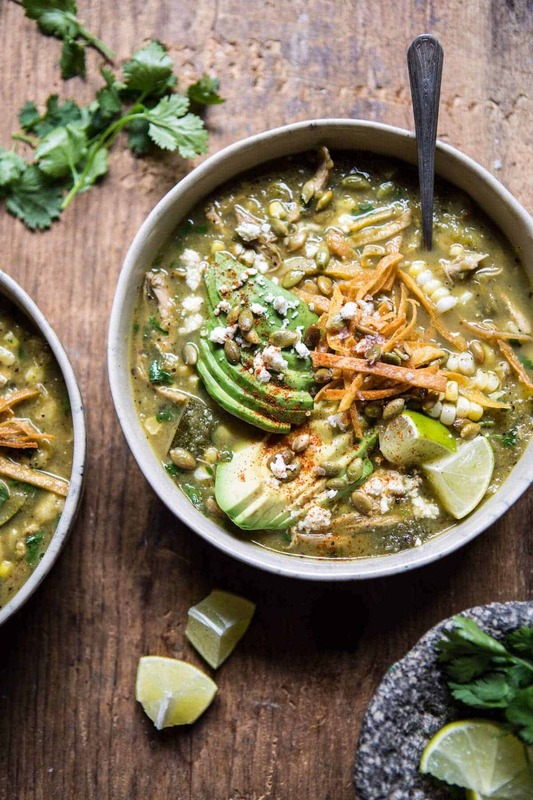 SO none of that up there had anything to do with this delicious Crockpot Salsa Verde Chicken Pozole, but it’s cool, cuz I am now about to talk your ear off about my favorite new soup recipe!! 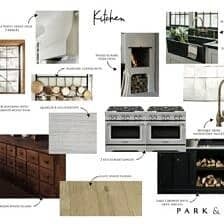 Remember on Sunday how I asked you guys if there were any recipes you’d like to see on the blog this fall? Well, I am really excited because it seems as though we are all on the same page. Everyone said soups, stews, crockpot recipes, pumpkin recipes (both sweet and savory), apple recipes, pastas and big healthy salads! Yeah! Honestly, I am so excited to share all my new fall recipes with you guys. They’re going to be yummy, and I feel like we’ll have a good mix between healthy and indulgent…balance! So today is all about the crockpot and soup! Oh man, this Pozole is life changing. My brother’s girlfriend, Lyndsie is a huge fan of Pozole and she’s been begging me to make it since last winter. I finally decided that with fall practically here, it was time! 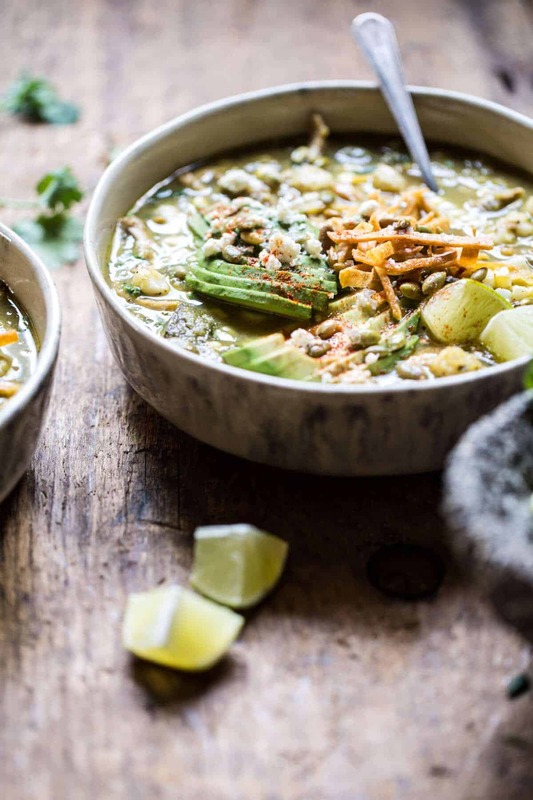 I was inspired to make a green Pozole by Heidi Swanson’s recipe in her cookbook Near and Far. If you guys don’t have this cookbook, I highly recommend it. 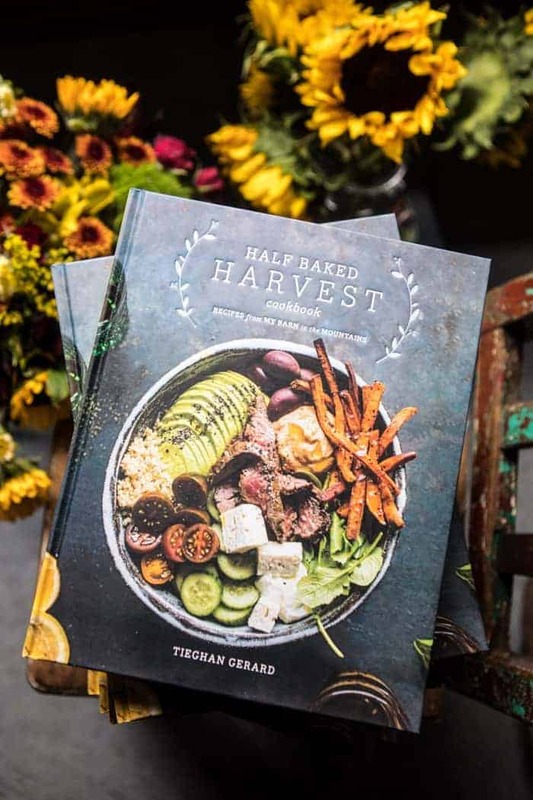 It’s a great read with amazing recipes from around the world. So great! 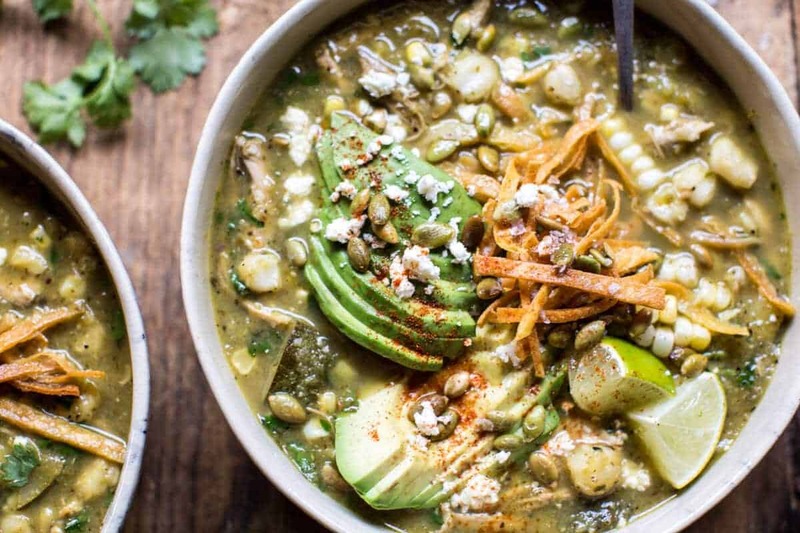 Anyway, her green Pozole got me thinking, I should make my own late summer version with zucchini, sweet corn, homemade tortilla strips and toasted pumpkins and um, of course avocado! Oh and cotija, I mean, obviously. I really cannot describe just how much I love this soup. It just has so much flavor and so many great textures. Ok, and I truly love its green color. It’s also great because while this recipe uses late summer corn and zucchini, it would be awesome any time of the year. And seeing as I have all the fall soup recipes on my mind, it’s literally just perfection. 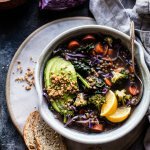 I know there are a lot of you out there who do not own crockpots (or maybe you just want to make this quickly and don’t have time to slow cook), so I included a NO CROCKPOT version as well. Both are crazy easy and crazy delish! 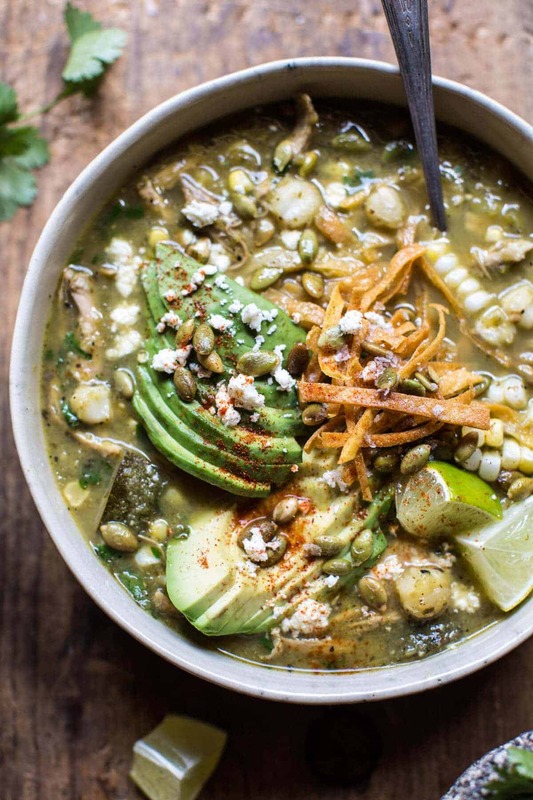 Just make sure to serve the Pozole with tons of avocado, cheese and tortillas chips! Oh, and if you’re feeling the need for extra carbs, stir in some rice… that is of course what I did, so good! It just has so much flavor and so many great textures. Ok, and I truly love its green color. It's also great because while this recipe uses late summer corn and zucchini, it would be awesome any time of the year. And seeing as I have all the fall soup recipes on my mind, it's literally just perfection. Heat a large skillet over medium high heat. Add the onion, garlic and tomatillos and cook, turning often until charred on all sides, about 10 minutes. You may need to remove the garlic cloves before the onion and tomatillo. Once cooked, remove everything from the skillet. When cool, remove the skins from the garlic. Return the skillet to medium high heat and add the poblano peppers and serrano chiles. Cook, turning often until charred all over, about 10 minutes. Remove the peppers and place in a bowl, cover with a plate and allow the peppers to steam for 10 minutes. After 10 minutes, peel or scrape off the charred skins and remove seeds. Add the peppers to a blender, along with the onion, garlic and tomatillos, puree until smooth. To the bowl of your crockpot, add the puree, chicken, corn, zucchini, hominy, oregano and 6 cups chicken broth. Season generously with salt. Cover and cook on low for 6-8 hours or on high for 4-6 hours. Once the chicken is falling apart, shred with two forks. Stir in the cilantro. If desired, add chicken broth to thin the soup. Taste and season the soup as desired with salt. 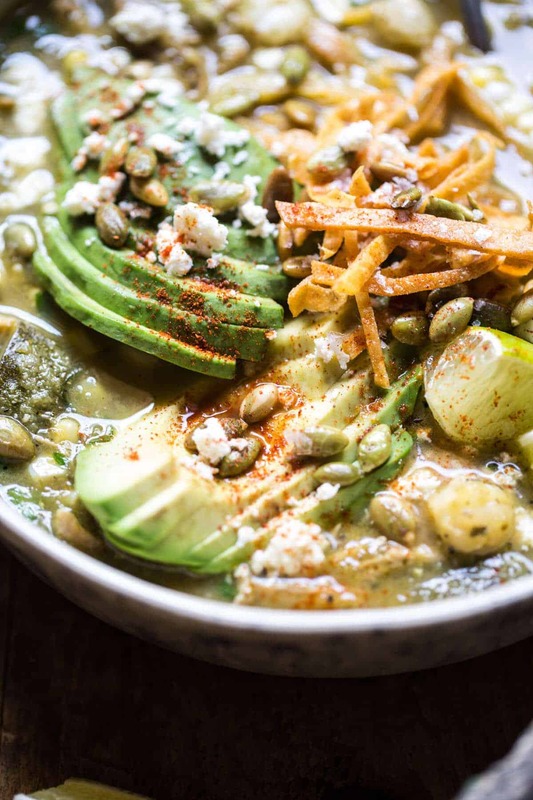 Ladle the into bowls and top with avocado, tortillas, cheese, pumpkin seeds, black pepper and lime juice. Eat! **Non Crockpot Version If you don't have a crockpot, add the puree, chicken, corn, zucchini, hominy, oregano and 6 cups chicken broth to a large soup pot set over medium-high heat. Season generously with salt and bring the soup to a boil, once boiling, cover and reduce the heat to medium-low. Simmer for 25-30 minutes or until the chicken is cooked through and shreds easily with two forks. Stir in the cilantro. If desired, add chicken broth to thin the soup. Taste and season the soup as desired with salt. Serve as directed above. *Adapted from Near and Far by Heidi Swanson. I just discovered that YOU WON THE BLOGLOVIN AWARD! Huge congrats! I must say it’s well earned considering all the time yo put into this blog with a life and book on the side. 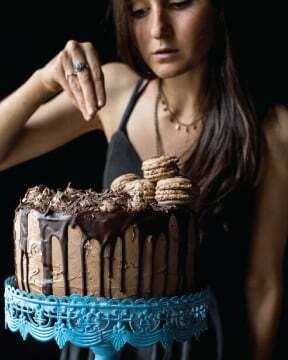 I can’t wait to know, if you got the Saveur Magazine’s award too, but I think you did! Thank you Patricia!! I am so so excited about it, and thank you so much for voting! Yes! So very happy for you. Much deserved and earned! I love your website. The recipes are amazing. The photos exquisite. (And the adjectives if interchanged work too! 🙂 ) Thank you for the joy you bring with all your blogs / posts. Happy wednesday to you too, Tieghan! This soup looks absolutely delicious, total fall mode for me. Thank you so much Maëva!! Hmmmm this is giving me some inspiration for dinner, thank you!! Awesome!! I hope you love it Ruth! Thanks! Ok you need to travel a bit more before any more animals. Pictures look wonderful–I wish I had some now as I look at my oatmeal. Congratulations on winning the bloglovin award–you work so hard!! Haha yes, but horses sound so amazing! Thanks so much Nancy! Looks and sounds amazing, Tieghan! Definitely want to try this stuff asap! YAY! I hope you love it Tori! It looks goooood ! 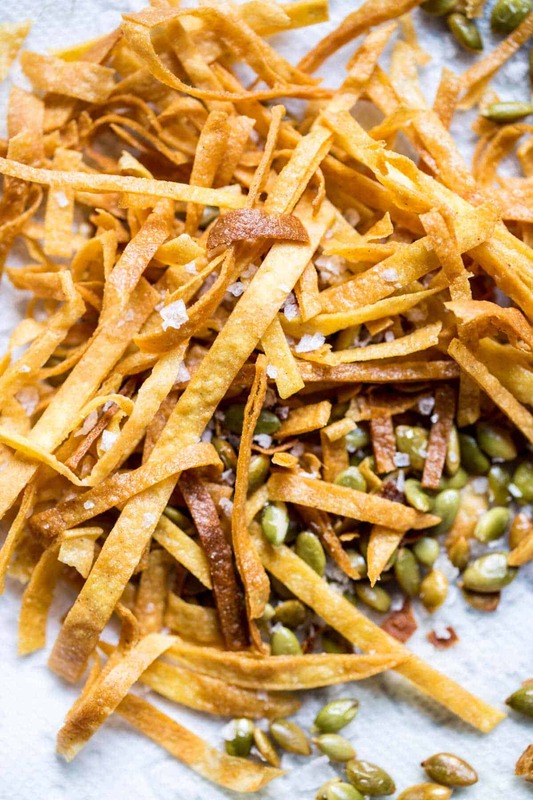 And the add-on of toasted pumpkin seeds is such a good idea ! Also yeah for the horse ! At least you kind of have the place for it already? Never had any, nor goat, but reading you talk about them just make me wanna jump years already and be able to live in my farmhouse with all the animals !!! And congrats for the Bloglovin’ award !!!!! You SO MUCH deserve it ! Haha well I am happy my stories are getting you excited, because you will love having goats!! Thanks so much Erika! This is a great transitional recipe-such a great way to include the end of the season corn and zucchini. Love that it can be made in the crockpot. Congratulations on your win at the Bloglovin’ Awards! Thanks so much Jean, I hope you love this! The goats’ names are ABSOLUTELY precious! I love it!!! And this pozole looks to die for!!! It’s about that time of year for all the crockpot recipes to come out! Agreed! Thanks so much Jessica! 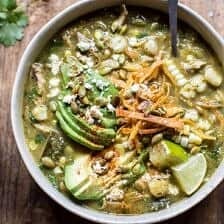 I LOVE Posole – can’t wait to try your recipe! 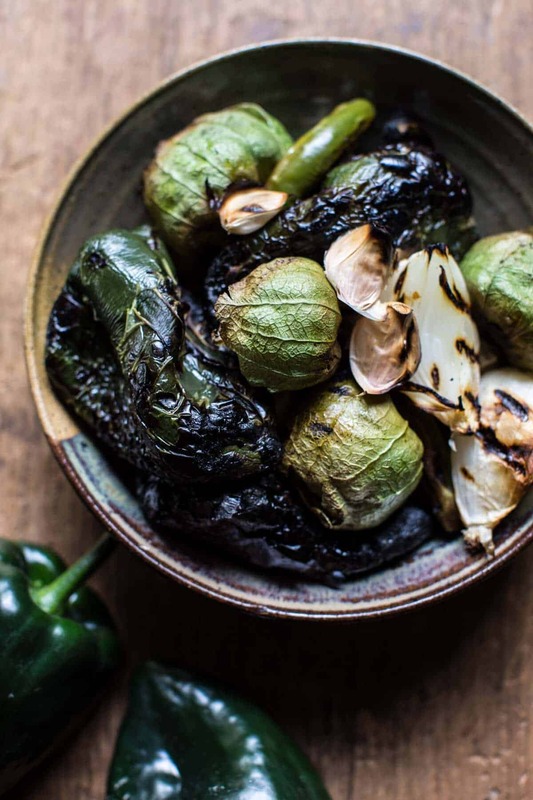 I suspect that all of the charring of the onion, garlic, peppers, and tomatillos could also be done under a broiler rather than on the stove? Maybe rubbing some olive oil on the lot before broiling? This looks great! Welcome!! haha! Thanks so much Sandra, I hope you enjoy this! That is so awesome!! So happy you loved it, its getting me sooo excited to go! Anyway thanks so much Andrea! Hey Marissa! Yes, I do think that will work out great! Love that idea actually! Let me know if you have questions. Thank you! So I have to confess that I despise hominy (in fact I started a chant in college in the café line “don’t eat the big corn!”). I’m sorry I just can’t do it. Sooooo…I have never been able to do the whole Posole thing, but I was thinking- can I just use all corn from the cob? Do you think it would work?? Love your recipes, love your photos, love that you won such a wonderful award!! Congrats, Tieghan! Really interesting, something I’d definitely like to give a try. The recipe looks like something I could do. Yes! Definitely give it a go! Thanks Charlie! This sounds amazing! However, I’m vegetarian and would love to make this without the chicken. What would you recommend substituting the chicken for? This is perfection! Light, healthy, and no fuss with the crockpot. Thank you!! Thank you Jessie! SO happy you enjoyed it! It truly is the longest week….couldn’t agree more! This soup looks great! I want to try this! Honestly, I’ve never had pozole before. It sounds good and a lot of interesting flavors. This will be good for those cool nights which we don’t have yet where we’re at! Lol…seems like summer is lingering around here. Love the baby goat’s names, I personally love Hermione! Btw, are there any results on the bloglovin and the saveur? YAY! I hope you love this when you try it Sheila! And yes for bloglovin’ I won!! I am so happy and thank you for voting!! 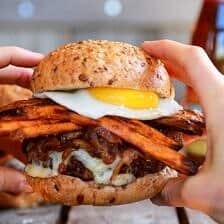 This looks absolutely DELISH. Ok, I am not going to lie though, I had to Google “hominy”. It definitely does not exist on our little island of Malta. And substitutes?? 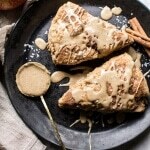 (You also can’t get corn on the cob here…) Really want to try this recipe out!! Malta??!!?? How amazing is that?? Malta was a stop on a Mediterranean cruise my hubby and I took for our 10 year anniversary several years ago, and at first, I was l like “Malta? Where is that?” And then we arrived, and it was so beautiful and the history is so, so rich!! I will forever be grateful to have visited Malta and highly recommend it! yeah! Hope you love it! 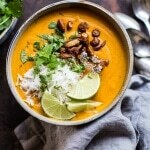 I love pozole Tieghan and this crockpot version sounds delicious! My husband Tom has a thing for crockpot meals, so I’ll have to give this recipe a go. They say happy wife, happy life, but I think it may have more to do with the husband! Lol! Thank you so much, Mary Ann! Have a great weekend! Made this tonight and was super impressed with how delicious it was! Prep did take longer than anticipated and I even charred my peppers while I was charring the other items. I was apprehensive but it turned out awesome – going on my keeper list. Thanks so much! So happy you loved it! Thank you so much, Jennifer! Made this yesterday for dinner… it was absolutely delicious! A huge hit with all of us. Thanks so much for sharing the recipe! Thank you so much! So happy you and your family love this! Hope you are having a great weekend! Can you share some photos of the goats please! I’ve always wished for baby goats of my own. HI Babs!! Yes! I iill be sharing photos either this weekend or next. Thanks you! ? Making the soup today. It looks amazing! I had a hard time getting the pepper skins off after charring and steaming. Any tips? I may just try to roast them next time. I had to throw them in the blender with the skins. Does it taste a lot differently without them? I love your recipes! Hi Mary! What I do is char the skins completely so that literally they are black and then they just peel right off. Not a huge different in taste with the skins on that off than on though so whatever you want. Let me know if you have any questions at all! Thank you so much!! ? This sounds delicious! My kids are really not fans of anything spicy, do you think it would sacrifice much flavor to leave out the serrano chiles? This is my new favorite soup. It was so delicious and I love that it’s crockpot friendly! Thanks for sharing. This was so good. Was well-received by the two others I shared it with too. 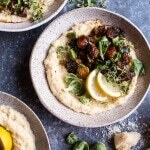 I have to tell you, with most blogs I get recipes from I end up looking in the comments for others’ adjustments, but I don’t know if I’ve done that even once with one of yours (and I usually make at least one a week); they’re always complete and fully-realized as they are, your instincts are always spot on. Not sure if it’s weird to offer my thanks, but I appreciate the quality of what you do here, I’m sure a lot goes into it. I tried this yesterday and it was sooooooo spicy! I even left out the Serrano. I think the sauce would have been perfect as a salsa, just a dollop on just about anything. Ooo so sorry it was too spicy for you, Lori. But yes, try it as a salsa or leave out some of the peppers next time! I made this following the directions but my soup tastes kind of flat, something is missing and I haven’t quite figured it out. The heat from the peppers comes thru nicely. Hey Kim, I am sorry this doesn’t taste the way you wanted. Maybe try adding salt to taste? Some people just need a little more salt to bring the flavors out. Let me know if you have questions. Thank you! Does this freeze well? It sounds delicious but it’s just me and would make a lot! Thanks so much Laura! So happy you liked it! Hi there, you mentioned making this with rice. Would you add that directly to the crockpot? If so, how much dry? And therefore use closer to 8 cups of liquid? Thanks so much! Hi! I think you could add 1 cup rice right to the crockpot. Let me know if you have questions. Hope you love this! This recipe is my favorite!! 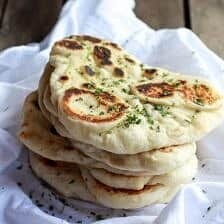 Very easy, wholesome and filling! I have shared it with a few of my friends and they love it too! On a bind one time I used frozen fire roasted corn – that worked great! I am so glad you and your friends loved this Jaya! Thank you so much! Made it last night. Not in the crockpot. Instead, cooked the chicken in the puree (which was absolutely delectable, if not a tad too spicy for my daughter–next time I’ll skip the serranos and add a jalepeno. BTW: I blackened the veggies on our gas grill) and 4 cups broth for an hour. Added the rest of the ingredients in and simmered for another 45 minutes. We usually make a red posole with pork, but this will now be our new go-to all-the-time posole. Thank you once more, for your gustatory brilliance. WOW!! This sounds like an awesome way to make this one!! So happy its your new go to!! 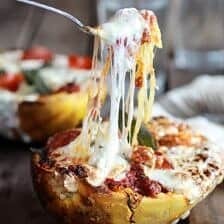 Any advice on making this awesome sounding meal in a pressure cooker? Hello, the recipe looks amazing! I just wanted to clarify two questions I have. You’ve said it needs “2 ounce cans hominy drained, 15”. Does that mean two 15 ounce cans? For the 2 cups of corn, would you just slice the off the cob with a knife? Should I cook the cob first? I made this recipe yesterday! I LOVE it. I am Mexican so I love a good pozole and I have to say I was a little skeptical about the zucchini + corn in here but they are game changers! My family loved this too, were all having it for lunch today. I just added extra seasoning + the zucchini and corn a little towards the end. I am so glad you all loved this Sarah! That is so amazing to hear! Thank you! I made this tonight and it was delicious! My pozole-loving husband went back for thirds! I made it using an Instant Pot since I started cooking too late for a crock pot. For anyone interested, I followed the recipe, but only used 4 cups of chicken stock (though I think 3 1/2 would have been better). I cooked it on high for 8 minutes, then did a natural release for 10 minutes. Thank you so much Christina! I am so glad you and your husband loved this recipe! I have made this, doubled this, for several family gatherings. It’s fabulous. Thank for a great recipe! Thank you Cam! I am so glad you liked this! I have made this, doubled this, for many family gatherings. It’s fabulous! Thanks for a great recipe!